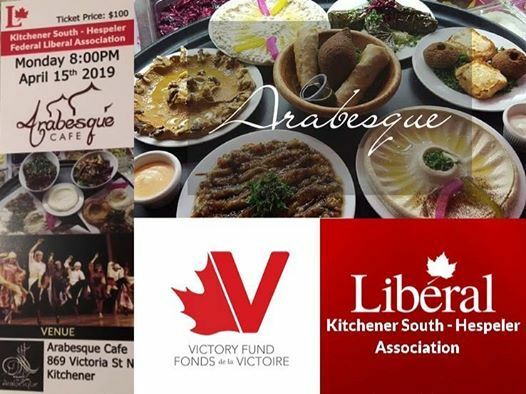 MP Marwan Tabarra and the Kitchener South-Hespeler Federal Association invites you to an evening of live music and entertainment at the Arabesque Cafe. 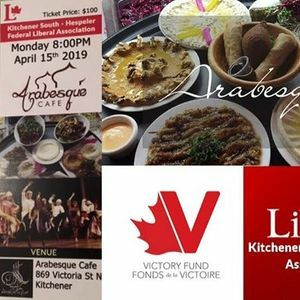 We are offering 3 ticket prices to those who purchase tickets online. Please note that there are a limited amount of tickets for this event. Purchase your tickets soon before they sell out! Plus check out the tax rebates!